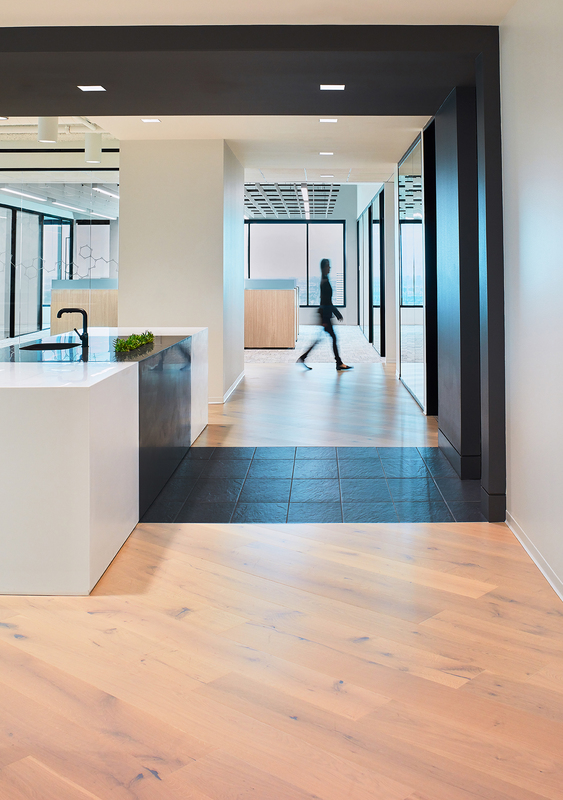 Magento, an eCommerce Platform company, selected Abel Design Group to create the design vision and plan for the company’s first independent office space in Austin. The main goals for the design were to create an identity for the company locally, and to attract and retain employees through an engaging environment. 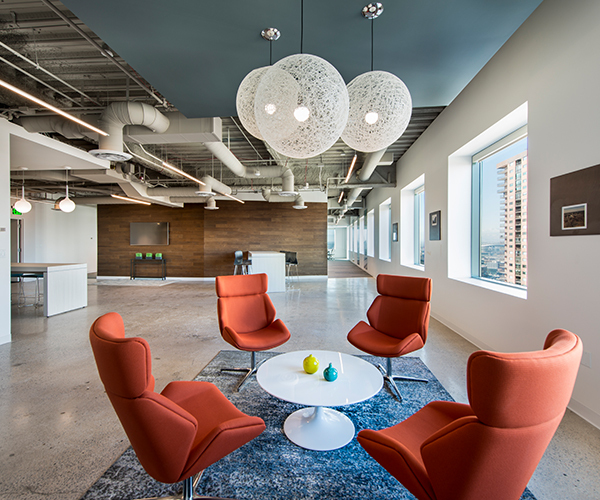 Having previously operated within parent company offices, the new office space provided an opportunity to infuse Austin culture into the design. 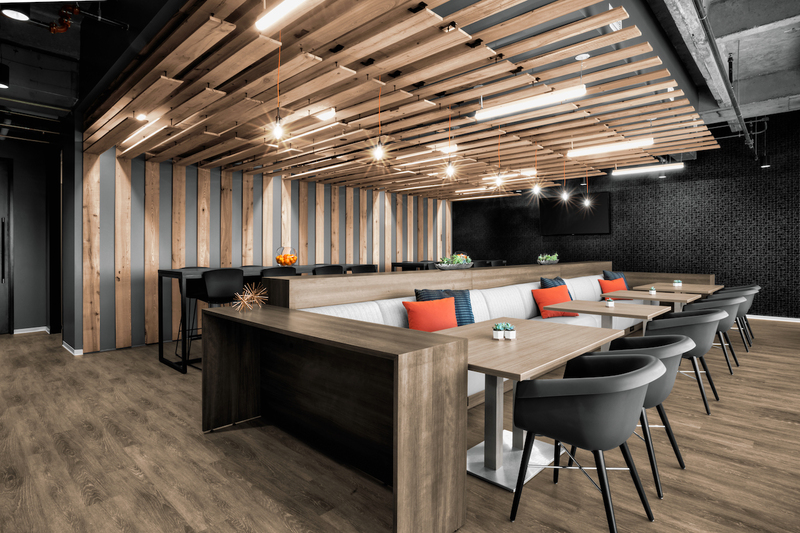 From a comfortable lounge for independent work time to a tap for sharing a cold beer, the Magento work space was designed to attract top tech talent. 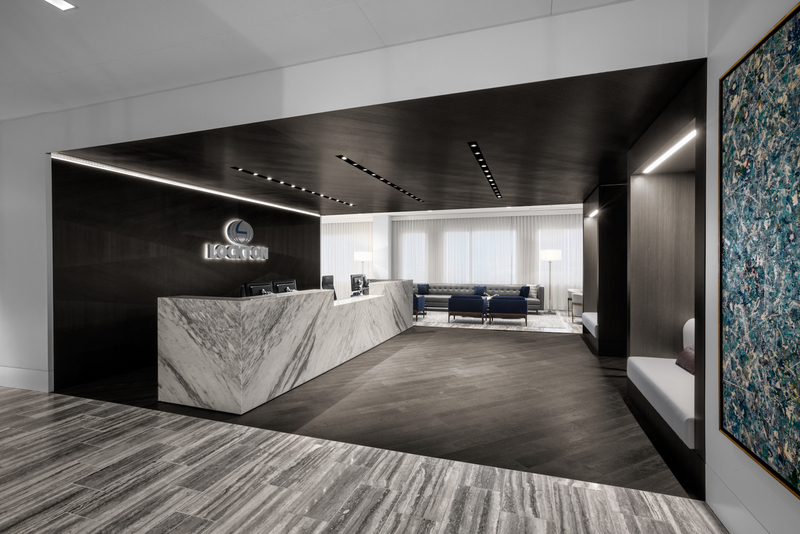 The angular nature of the facets in the branding are reflected in the flooring pattern and ceiling design. Throughout the space, the viewer always has a preview of what is happening beyond, similar to their company culture of seeking to be a step ahead. 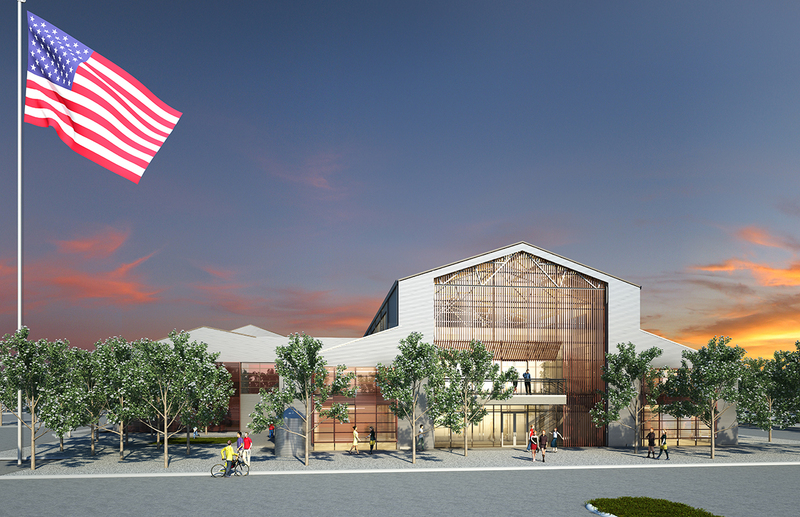 This concept of “A Vision Beyond” is replicated within the graphics as well as the architecture. By weaving the Magento logo with local photography of iconic Austin elements, the result is a unique view of Austin through the brand of the company. The Magento bar and break area contribute to the open flow concept. The open window between the bar and the break room island abstractly reflects the Magento ‘M’ and allows for interaction from all sides. The feature facilitates the continued flow of employee interaction, and continuous view. The open break room area offers the flexibility for both work and play. The area was designed to accommodate everything from all hands meetings and company wide happy hours, to impromptu team-building game time, and independent work space. 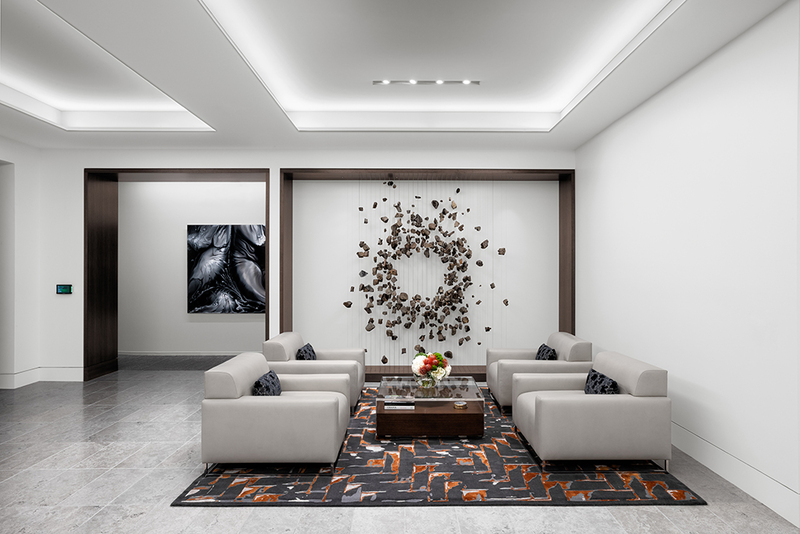 By using common materials such as paint, laminates, wallcovering, and porcelain tile in a dynamic fashion, the ADG team implemented a powerful design, and kept the project within budget. The enclosed spaces along the perimeter of the office include meeting conference rooms, phone rooms, and the private office. These spaces offset the energetic environment of the open office by incorporating more cool neutrals and subtle patterns into Magento branding. From large meetings to single person phone rooms, they offer opportunities for employees to select the environment that allows for their personal maximum productivity.